This week fourth graders heard one of my favorite read alouds. 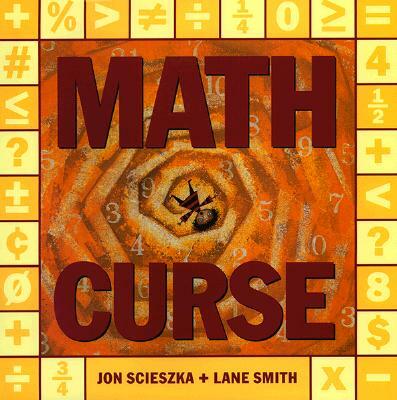 Math Curse by Jon Scieszka is a delight (and a challenge) to use with a group. Each page has a problem to solve, some of which are very funny. Students get into the spirit and love figuring out the answers as the narrator goes from problem to problem in his day. Humor aside, this is such a great way to show the inter-connections of learning and how knowledge can be applied to every day events. It was wonderful to see the “lightbulbs” go on when I read that the teacher’s name in the story is Mrs. Fibonacci and, because of our story a couple of weeks back, they got the inside joke about how she counted in sequence. Kindergarten–Kindergarteners loved hearing Mr. and Mrs. Pig’s Evening Out by Mary Reyner. The distracted Mrs. Pig hires a babysitter named, of all things, Mrs. Wolf! Students saw the problem immediately and worried about the ten piglets, were on the edge of their seats when she snatches Garth Pig, but predicted that his brothers and sisters would come to the rescue. First Grade-no library this week. Lake Cachuma field trip. 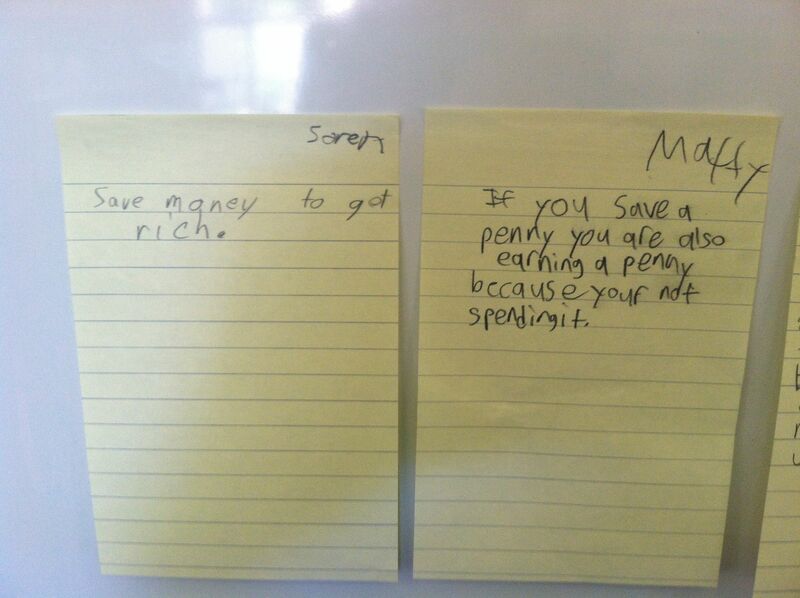 Second Grade–Second graders had fun with a new visible thinking routine this week. Beginning, Middle, End starts with a visual from the middle of a story and students imagine what could have been at the beginning and what could be the ending. 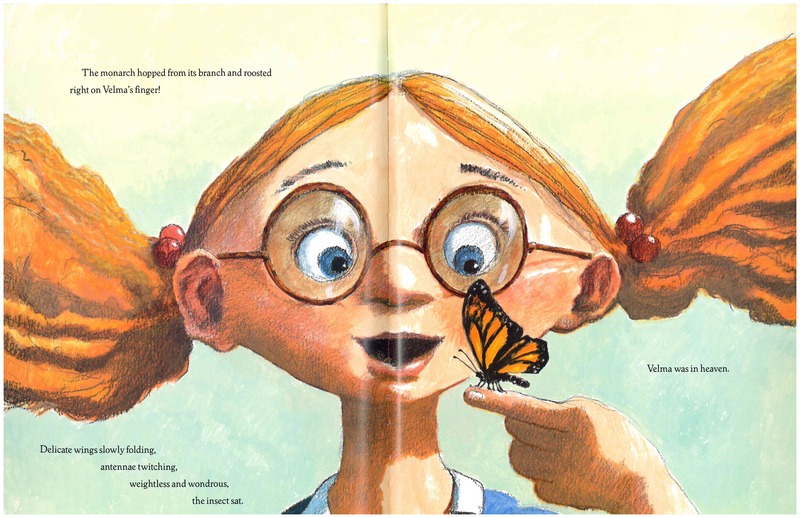 I chose this illustration from Velma Gratch and the Way Cool Butterfly by Alan Madison and illustrated so wonderfully by Kevin Henkes. After offering their ideas about what could have happened at the beginning of this book and what could happen at the end, they loved hearing how their ideas matched the author’s or were different. Third Grade–That Miss Smith and her incredible storybook! This week she takes her class to the aquarium in Miss Smith Under the Ocean by Michael Garland. As always, the illustrations are eye-popping and students loved figuring out the literary connections. Fifth Grade-It was another round of Speed Dating for Books and fifth graders left with some new “relationships.” Most popular this time was The Graveyard Book by Neil Gaiman and Wonderstruck by Brian Selznick. Fifth graders really like this way of introducing new books and it gives me a chance to get new titles into circulation. I used your Velma Gratch idea today with my second graders. They hit a few nails on the head, so to speak. 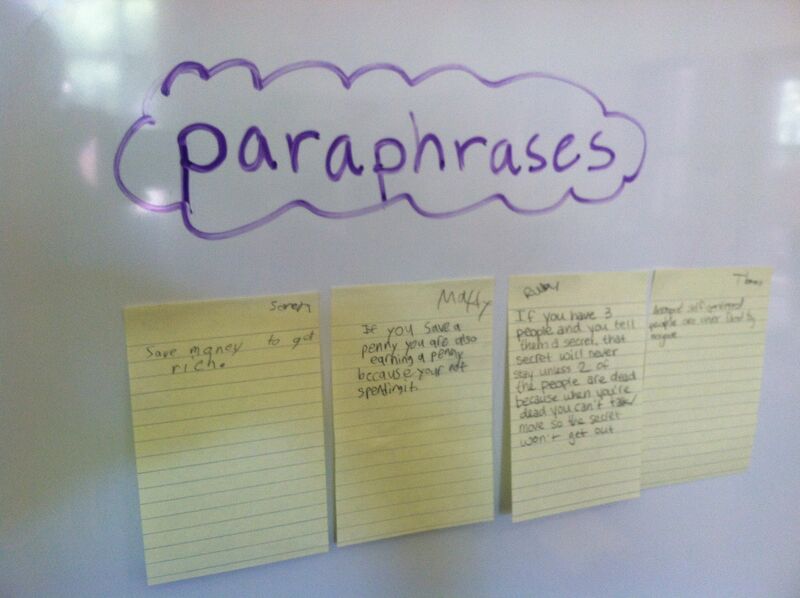 Great idea – the classroom teacher loved it as well. Thank you!